As parents we are supposed to know what’s right, what’s better, offer advice, give direction etc. But, sometimes not saying anything is the best option. 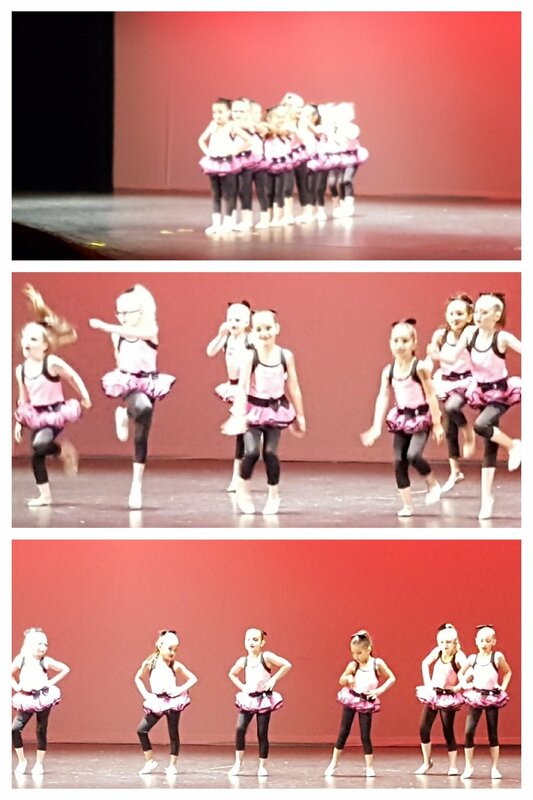 Sky has been in a jazz/tap/ballet combo dance class for a year, and the school was opening up audition for company teams (teams that compete) to kiddos her age. Sky really wanted to audition, I really thought another year of classes would be best, but after talking with her teacher decided it was a great opportunity to find out what being a company dancer means commitment and money wise, and would be a great learning experience for Sky. Sky went into it knowing not everyone would be selected and that it was good practice for her know what the audition process is. Jazz Recital – last time we’ll see her doing jazz! She was the head of the line in the top pic, center of the group in the two bottom pics. Sky had her heart set on jazz and jazz was auditioning early in the day, so I figured we’d be in and out pretty quick. Hahaha. Once Sky found out tap was next she wanted to audition for that as well. I so badly wanted to say no, we are not tap fans and paying competition fees for a style we don’t enjoy was not going to happen. But, I figured it was good practice for her to dance in front of judges. So off she went to tap. Next up was hip-hop and once again Sky wanted to audition. She’s standing there looking at me, begging please with her big eyes, and guys I took a breath and almost crushed her with a big no. I was on the verge of saying “I don’t think that’s the best idea”…mind you she has not had a single hip-hop class, she is getting better – but has a hard time hearing the beat consistently, and I didn’t want to take up the judges time, my time, and Sky’s time auditioning for a dance style that she doesn’t even know what it is. But somewhere between saying “I” and “don’t” I decided to bite my tongue and keep all those thought’s and reasons, and “knowing better” to myself. Instead I said “I think that’s a great idea, go ahead, but remember you only get to be on one company team”. She squealed and jumped up and down and ran into the audition room happy as can be. 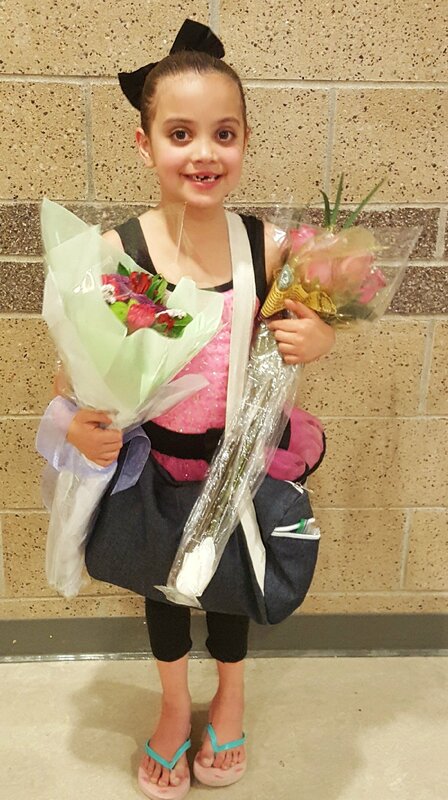 So proud of our little dancer! Parents were not allowed in the auditions, so I stood out in the hallway and peaked through the window to watch all her auditions….I made sure she couldn’t see me though, I didn’t want her to worry about Mommy watching her. During jazz and tap she was pretty serious and seemed a little confused, but hip-hop was totally different. As soon as the music started she had a huge smile in her face, she was feeling it, and while I thought it was her best audition of all I still didn’t think much would come of it. She ran out of the room saying hip-hop was the only one she wanted, she loved it. Once again in my head I’m thinking it’s not going to happen, she hasn’t been in any of the classes, and is starting from ground zero. Rather than share any of those practical thought, and try and make what I was sure would be disappointment softer, I let her know I hoped she got it and that she did a great job. Turns out I didn’t know better, I was not right, and I’m so thankful I bit my tongue and let her audition for hip-hop, because she made the company team! When he name was called she exploded with joy and was jumping and squealing all over the place. It would have been all too easy to have called it a day after jazz, that was the original plan, but I’m glad we didn’t, and mostly I’m glad I kept all those thought to myself. Sometimes it’s ok to let our kiddos go out on a limb, and try new things, unplanned things and let the chips fall where they may. Especially when it’s something like dance auditions, there was no risk to her safety or well being, other than potential disappointment at not being picked for a team, but that’s part of life and something she will face sooner or later. I’m so proud of her for going for it, even when auditioning and hip-hop were new to her. She handled the whole experience so well, and I can’t wait to see how she progresses in hip-hop!